Budgeting allows you to buy the things you need now while saving for the future. It’s important that the habits you develop on the go don’t break your budget. Identifying whether you have these habits may save your money and your budget. 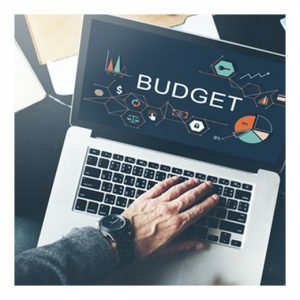 If there is a single reason to budget, it’s probably to save for the future. Having a savings account is a crucial step in this process. And, with some banks, you can link your savings to your debit card to protect you from overdraft fees and charges. But more importantly, the purpose of savings is to save your money. So transferring money from your savings too often is a budget breaking habit. One way to ditch this habit is to exclude the money in your savings from your monthly planning. Don’t even consider it as a backup, in case you need more money for the month. Just let it sit in savings, indefinitely, collecting interest. A Starbucks coffee. A lunch from that restaurant at work. A video game. Another coffee from Starbucks. A shirt. Dinner from Little Caesars. These purchases add up. Pretty soon you could spend $50 to $100 in a day without noticing. Purchasing on the go without accounting for it in your budget is a budget breaking habit. When you’re creating your budget, apportion money, weekly or daily, for small, miscellaneous purchases. This should allow some wiggle room for coffees and, maybe once in a while, a pizza. But whatever you do, don’t buy something if you haven’t accounted for it in your budget. That way, you’ll always be safe. Creating a budget is an important step toward creating a better future for yourself. It’s an easy way to plan ahead and save. It’s also a stress-free way of enjoying yourself in the present: because you know that bill a month from now will be paid off with the money you’ve set aside for it. But a budget won’t work if you develop bad habits. If you have them, break these two habits, or they will break your budget. The post 2 Budget Breaking Habits appeared first on Apartments For Us.